Florida's Best Spanish-Language Public Affairs Show! FNN's Florida Exclusivo is a weekly, one-hour news and public affairs program that focuses on news and issues of the Latino community. 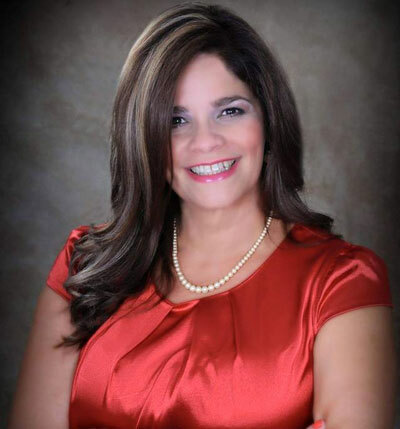 Hosted by award winning journalist Sandra Carrasquillo, Florida Exclusivo is heard on radio stations throughout Florida that specialize in serving their Spanish-speaking communities. Past guests include President Barack Obama, Senator Bill Nelson, FL Lieutenant Governor Carlos Lopez-Cantera, Congresswoman Nydia Velazquez, Former US Surgeon General Antonia Novello, Consul of Mexico Efrén Nicolás Leyva Acevedo, FWC Spokesperson Officer Jorge Pino, and Hispanic Dental Association’s Dr. Amarilis Jacobo.. Affiliate stations will be provided with quarterly issue report for use in their Public Files. Host and producer Sandra Carrasquillo has long been engaged with Florida’s Latino culture, starting in radio in 1985. She signed on with Orlando’s first Spanish station (WONQ-AM) and stayed there for 16 years. Along the way she won such prestigious awards as the "Outstanding Leading Hispanic Woman Award" for 2011 from Tu Revista Mujer (Your Women's Magazine), The 2015 Journalist "Emotional Intelligence Advocate" for the SoEI, Ambassador Award 2015 for the Hispanic Woman Chamber of Commerce, and "Hispanic Women That Make a Difference” award from La Prensa newspaper. As part of her involvement in the Latino community she participates in the regular Roundtable Series for the Hispanic American Professional & Business Women's Association and Summit on Puerto Rico Affairs in Florida. She’s the current anchor for FNN's FNN Hispana and radio host for local station WPRD-AM Orlando. XDS Program: "Florida Exclusivo (L or R)"